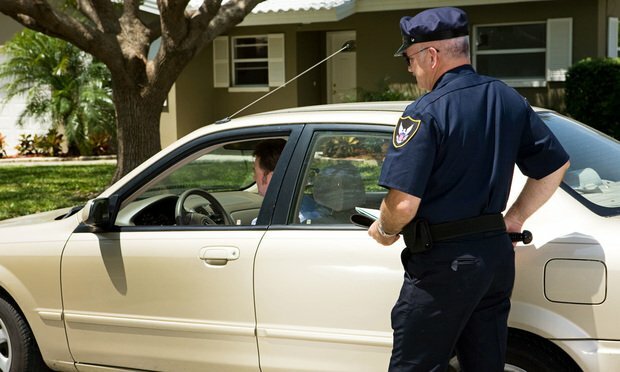 A Michigan woman's constitutional rights were violated when a police officer gave her a speeding ticket after she flipped him the bird, the U.S. Court of Appeals for the Sixth Circuit ruled. A Michigan woman’s constitutional rights were violated when a police officer gave her a speeding ticket after she flipped him the bird, the U.S. Court of Appeals for the Sixth Circuit ruled. She hadn’t gotten far before Minard pulled her over again and changed her ticket to a more serious violation. Cruise-Guylas sued Minard, claiming her constitutional rights under the First and Fourth Amendments were violated by the new ticket. In turn, Minard asked for the case to be dismissed, arguing he had “qualified immunity” as a police officer and could not be sued for anything done in a professional capacity. A lower court denied his motion to dismiss, and the case ended up in front of the Sixth Circuit. In a 3-0 decision, a panel of judges agreed with Cruise-Guylas. The panel concluded that Minard pulling Cruise-Guylas over a second time was a violation of both her Fourth Amendment right to be free of unreasonable government search and seizure and was based on her exercise of her free speech rights. ”Any reasonable officer would know that a citizen who raises her middle finger engages in speech protected by the First Amendment,” Sutton wrote. The case is heading back to U.S. district court, where Cruise-Guylas is seeking unspecified damages.